The Bennett History Museum in the Funk Heritage Center includes several collections and exhibits designed to inform, educate and entertain. 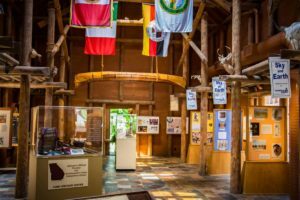 The Bennett History Museum in the Funk Heritage Center has a large collection of artifacts representing the American Indian cultures that preceded the European arrival in the Southeast. Projectile points, atalatyl weights, chunky stones and pottery shards are among the cultural remains of ancient cultures. The Long House showcases artifacts and text panels. This section of the Funk Heritage Center is funded by Georgia Power. Estelle Bennett Hughes Theater and Film, "The Southeastern Indians"
The museum’s Theater presents an award-winning film, "The Southeastern Indians", which gives visitors background into the history of these interesting native people. The Hall of the Ancients offers more detailed historical information about the Southeastern Indians and early settlers. 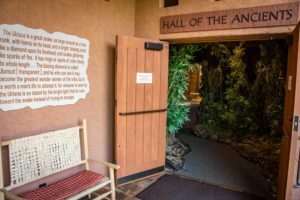 This venue offers beautifully designed dioramas depicting more than 12,000 years of regional history and a massive petroglyph is in the center of the room. "Life Along the Etowah" features information concerning the region and how Native Americans depended on the environment for food, clothing and everyday life. Another exhibit, "History Beneath Our Feet"explains archaeology and photos of an excavation completed in Canton, GA in 1999 are shown. 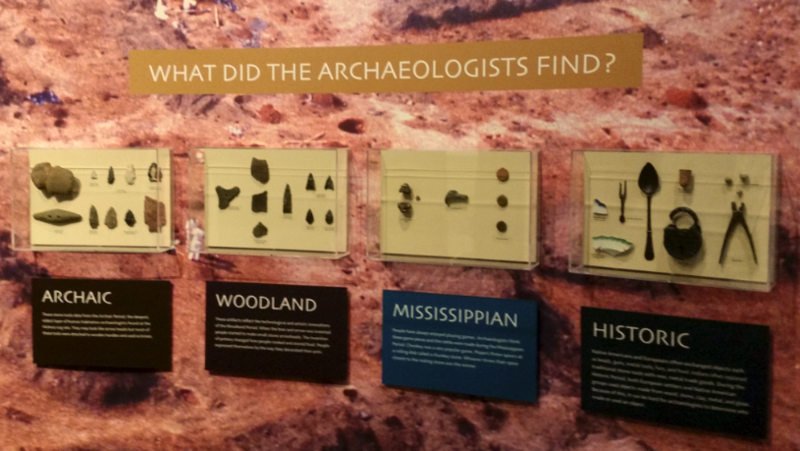 Artifacts unearthed from the Cherokee History Log district near the Etowah River are displayed. 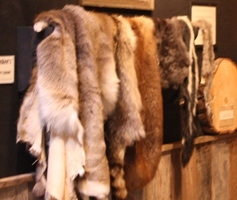 An area has been set aside for young children and they may touch some interesting items including pelts. Also, books about American Indians and pioneers are available to them to read or adults to read to them. Rogers Gallery of Contemporary Indian Art includes paintings, sculptures and other creative works. Rotating exhibits from this collection are always on display. The Sellars Collection of Antique Hand Tools is another permanent exhibit. 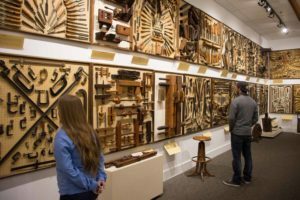 Acquired over many years by Marietta businessman Alan Sellars, this astonishing exhibit includes thousands of tools dating from as early as the 17th century. The individual panels depict a wide variety of trades -- and the design of each panel is a work of art in itself. Why tools? Because they tell the story of the rise of craft and technology in western Europe and North America. 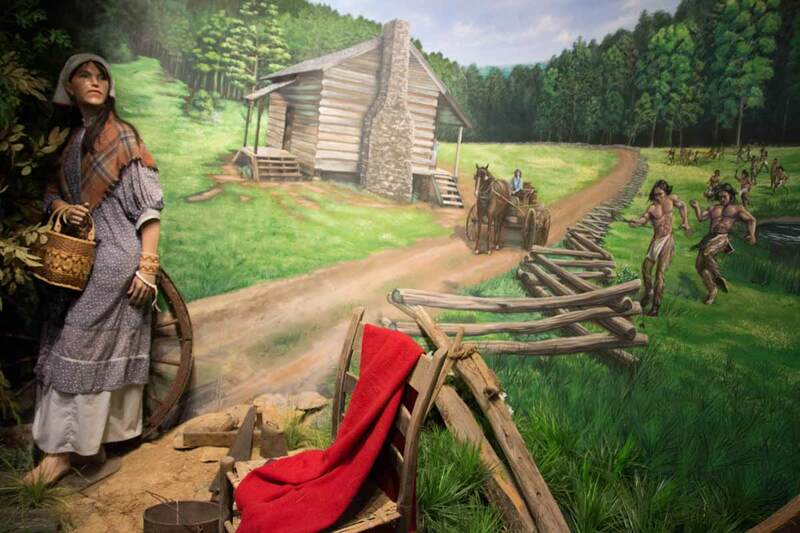 Designed to interpret the pioneer experience, the Appalachian Settlement includes authentic log cabins and other 19th century farm buildings that have been moved from their original locations in the exhibit area, then faithfully reconstructed and furnished.